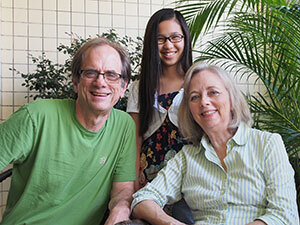 Doug and Janice first traveled to China in early 2002 to adopt a little girl from Jiangxi province. They returned home not only with a new daughter, but also with a new-found love for the people of China and a growing desire to help the orphaned and disabled children. After learning of the work at New Day, Doug first returned to China in 2003 to visit the foster home. Several years and several trips later, the Bush’s made the decision to move to China and join the New Day team. The words “freely you have received, freely give” have special meaning to Doug who was himself abandoned as an infant and placed for adoption. The Bush’s are grateful for this opportunity to help make a difference in the lives of the children.